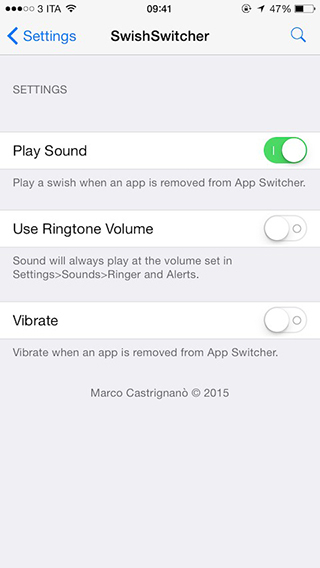 Add a Swish sound when you close an app in the app switcher, giving the effect that the app was lauched away. You can also add a vibration while playing the swish sound or vibration only. Both iPhone and iPad are supported.